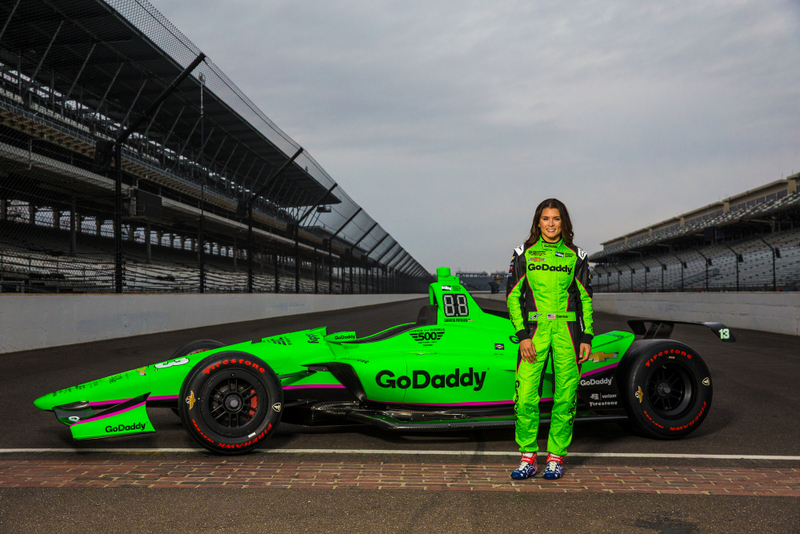 Danica Patrick has to wait a few more weeks before getting behind the wheel for an IndyCar test drive. It's been more than six years since she's piloted an open-wheeled race car, and she'll have to wait a little longer to see if switching back from NASCAR is just like riding a bike. A test drive originally set for the end of March was delayed because of inclement weather. But Patrick's OK with that, she told ‘For The Win’ by phone Wednesday, admitting: "Being nervous, waiting is not the worst thing in the world." She is, of course, still excited to get a few practice laps in before the Indy 500 on May 27. It will be her last race before retiring, and it's the second half of her "Danica Double" farewell tour - following the Daytona 500 in February, her last NASCAR event. A pioneer and a role model. But nerves aside, Patrick explained the test date being pushed back is still a good thing and what she'd want if she could choose the test anyway. The experience will be much more similar to that for qualifying and racing in the Indy 500, from the weather to the No. 13 GoDaddy Chevrolet itself, she said. "It's gonna be good to get in the car and get that part done, but I am nervous," said Patrick, who's currently based out of Scottsdale, Arizona. "It's also good because the car is probably going to be my actual car that I'll be driving for the month of May and in the Indy 500, as opposed to a backup test car. And teams have really been rushing around to get cars ready for this test because (IndyCar's) season has started, so as far as preparation goes on the team's behalf, it's been a little bit of a relief to wait as well." Patrick still recently paid a visit to one of the world's most famous tracks. For GoDaddy and Ed Carpenter Racing's announcement Wednesday about what her car will look like, Patrick did a photo shoot at the Brickyard. Although her last IndyCar race was in 2011, this wasn't her first time back at Indianapolis Motor Speedway since that season or even after she realized the 2018 Indy 500 would be her final career race. The NASCAR Cup Series competes at the track annually - her best finish was 11th in July 2017 - and she said she was there earlier this year for an IndyCar physical. But still, there's something magical about returning to the Brickyard. "And I always say the same thing too. It's a special place. We were driving out and said the same thing - it's a special place."